Enjoy this famous New Orleans cocktail drink with your favorite alcohol or wine. Wine Blizzard Slushie: In a (56 oz. ) 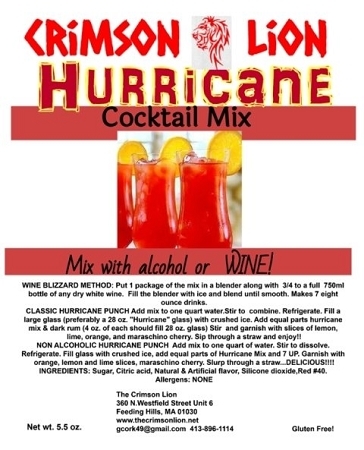 blender use 1 package of the mix, 3/4 bottle of white wine such as Chardonnay or Pinot Grigio, fill with ice for a New Orleans bayou bash slush drink. As another option, fill the blender with ice, add 1 package of the mix, add in 1/2 cup water, 1-1.5 cups of a combination of Gin, Vodka, Rum or just your favorite alcohol type.